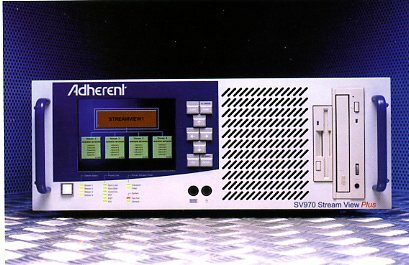 Adherent initially approached AMC with a requirement for a 4U high rackmount computer system in which to house their specialised DSP cards. Working closely with Adherent, AMC designed and developed a system that met Adheren's precise specification. AMC's team of designers designed both the chassis and the in-system alarm and monitoring electronics. This resulted in orders to AMC for production systems running at 250/year. Adherent were so impressed with the quality of AMC's work that they soon commissioned AMC to work on the design of their next product. The design brief given to AMC was to design and develop a 2U chassis to house DSP cards. Again AMC designed the metalwork and the internal electronics used to control the front panel switches and display. Production quantities were made by AMC amounting to 150/year.